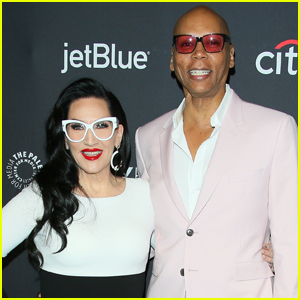 RuPaul Promotes 'Drag Race' at PaleyFest 2019! RuPaul is all smiles as he steps out for the RuPaul’s Drag Race Panel at the 2019 PaleyFest on Sunday afternoon (March 17) at the Dolby Theater in Los Angeles. The 58-year-old host of the reality competition series looked so handsome in a blush-colored suit as he attended the panel with fellow judges Michelle Visage, Carson Kressley, and Ross Mathews and panel host Aisha Tyler. You can catch new episodes of RuPaul’s Drag Race on Thursday nights at 9pm ET on VH1. RuPaul & Padma Lakshmi Hit the Red Carpet at Emmy Awards 2018! RuPaul and Padma Lakshmi are looking stylish on the red carpet at the 2018 Emmy Awards held at the Microsoft Theater on Monday (September 17) in Los Angeles. RuPaul’s Drag Race and Top Chef are both nominated for Outstanding Reality-Competition Program. RuPaul is also presenting during the awards ceremony. RuPaul was joined on the red carpet by co-stars Michelle Visage, Ross Mathews and Carson Kressley. SNL‘s Weekend Update comedians Michael Che and Colin Jost are hosting the show. Make sure to tune in on NBC! FYI: RuPaul is wearing a Calvin Klein suit. Carson is wearing a SuitSupply suit and Stubbs and Wootton shoes. Padma is wearing a custom J Mendel dress, Lorraine Schwartz jewelry, Stuart Weitzman shoes and carrying an Edie Parker clutch. Ross is wearing a Mr Turk suit. 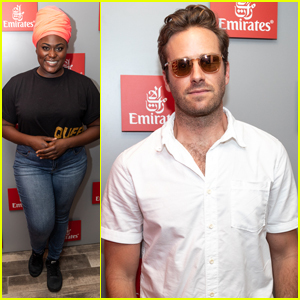 Armie Hammer Celebrates Birthday in Emirates Suite at the US Open! Armie Hammer is celebrating his 32nd birthday (August 28) in style! The Call Me By Your Name star kept it cool in a pair of shades while enjoying court side views and decadent meals from the Emirates Suite at the 2018 US Open in the Arthur Ashe Stadium on Monday (August 27) in New York City. Armie was accompanied by a group of friends and his wife Elizabeth Chambers, as well as Danielle Brooks, Carson Kressley, models Danielle Harrinton and Elizabeth Turner, and Gladys Knight. The Emirates Airline US Open Experience was redesigned and renovated in 2015 and newly expanded last year. The inspiration behind the hospitality suite design is connections, bringing to life the connection between Emirates, the US Open and fans worldwide. Carson Kressley is throwing a little shade at the Queer Eye reboot. The current RuPaul’s Drag Race judge, who was the fashion expert on the original Queer Eye for the Straight Guy series, opened up about the show at the Television Academy’s celebration of the Emmys turning 70. Queer Eye is currently nominated for three Emmy Awards, including Outstanding Structured Reality Program. “I’m thrilled that they’re nominated, but it was a little more groundbreaking back when we won an Emmy in 2004,” he added. Darren Criss, Edgar Ramirez & More Hit Carpet at Emmy's Performers Peer Group Celebration! Darren Criss and Edgar Ramirez happily hit the red carpet together while attending the Television Academy’s Emmy’s Performers Peer Group Celebration held at the NeueHouse Hollywood on Monday (August 20) in Los Angeles. The 31-year-old actor and Edgar, 41, were joined at the event by their Assassination of Gianni Versace: American Crime Story co-star Finn Wittrock, Seven Seconds‘ Regina King, Bryan Cranston, Grey’s Anatomy‘s Sarah Drew, American Horror Story‘s Adina Porter and Naomi Grossman, Barry‘s Louie Anderson and Henry Winkler, Atlanta‘s Brian Tyree Henry, and Alyson Hannigan with her husband Alexis Denisof. 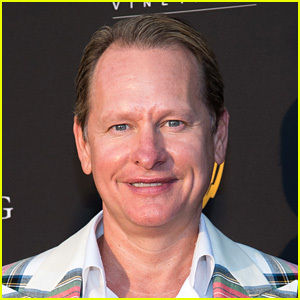 Also in attendance in support of RuPaul’s Drag Race were Carson Kressley, as well as Season 10 contestants Asia O’Hara, Kameron Michaels, Aquaria and Eureka O’Hara. Be sure to tune into the 2018 Primetime Emmy Awards, which are set to air live coast-to-coast on NBC on Monday (September 17). Saturday Night Live‘s Michael Che and Colin Jost will serve as co-hosts this year! FYI: Sarah is wearing APM Monaco earrings.